The sixth Guizhou Professionals Convention was held in Guiyang from March 24 to 25, and led to more than 21,000 agreements between employers and talents. 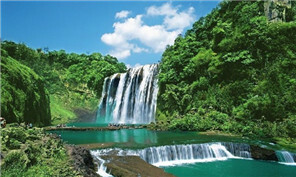 Guizhou opened its first industrial zone for provincial-level human resource (HR) services in Guiyang on March 25. 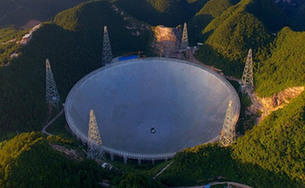 FAST (Five-hundred-meter Aperture Spherical Telescope), the world's largest radio telescope in Pingtang county of Guizhou province, upgraded to a more advanced 19-beam receiver system. China will finish upgrading the world's largest single-dish radio telescope next month to help scientists discover more stellar objects that are unique and farther from Earth. A green agricultural product exhibition focusing on edible mushrooms was held in Guiyang on March 22. Anshun, a city in Southwest China's Guizhou province, launched its first self-service machine for personal credit inquiries on March 21. Shuanghe Cave in Guizhou province - which was named the longest cave in Asia on Saturday - houses a trove of wonders, including a lizardlike endangered species, 10 centimeters long, and fossils of vertebrates such as giant pandas and what appear to be rhinoceros, saber-tooth tiger and elephant remains. The Global Big Data Exchange (GBDE) based in southwest China's Guizhou Province has attracted over 2,000 members.